"inspiring"..."a masterpiece"..."a coup and tour de force"... "masterful"..."beautiful"
NOW AVAILABLE IN U.S./CANADA, WORLDWIDE. The SPECIAL EDITION DVD and the digital download on Video on Demand and other streaming platforms are now available. 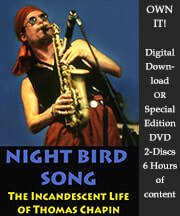 iTUNES is making NIGHT BIRD SONG available to view online. Not everyone wants a DVD. So here's the online link to view it at iTUNES. https://itunes.apple.com/…/night-bird-song-the…/id1345139877. ​WINNER!! 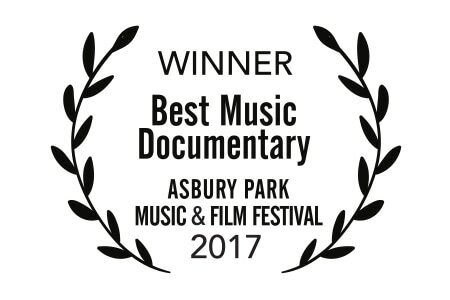 "BEST MUSIC DOCUMENTARY" AT THE ASBURY PARK MUSIC & FILM FESTIVAL! for the screening of NIGHT BIRD SONG. About 100 captivated attendees, most of whom had never heard of Thomas Chapin, came to the screening despite some snow. 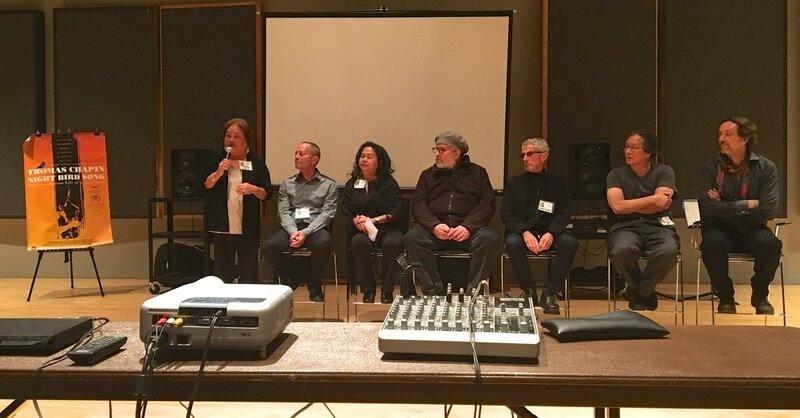 A wonderful Q&A with myself, my co-producer Noel M. Izon, and interviewees from the film -- Ted Chapin, Saul Zebulon Rubin, Arthur Kell, Mario Pavone and Terri Castillo Chapin. Thomas's incandescent life shone through! 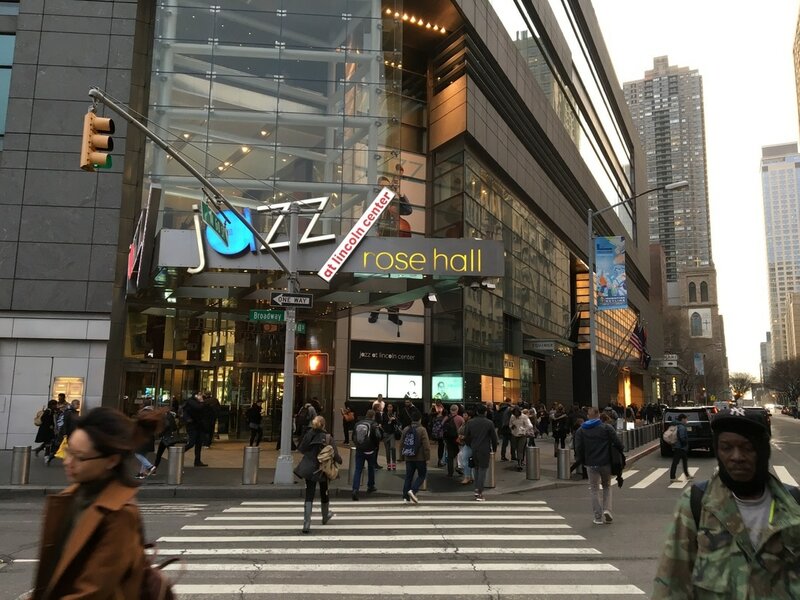 Thanks to Seton Hawkins and Jazz at Lincoln Center for inviting Thomas Chapin to "play" there through my film NIGHT BIRD SONG! So proud to have screened at the prestigious Monterey Jazz Festival in September! Thomas was to play there in 1997 when he got sick. Through the film, he "played" at Monterey! At a NICE, FRANCE film fest an award for BEST STORY in May 2016. Woman Filmmaker & Documentary Feature at the Hollywood International Independent Documentary Awards, 2016. Best Posthumous Documentary at the New York Jazz Film Festival 2016.
this important film out there for the world to see! Associate Producer Abby London-Crawford and Terri Chapin, Thomas's wife/widow, were on hand to receive the film's award for the Best Posthumous Documentary in December. 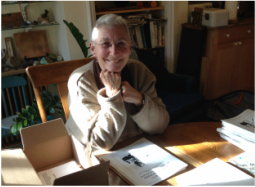 l.
WE ARE FUNDED IN PART BY MORE THAN 400 DONORS AND THE QCA. 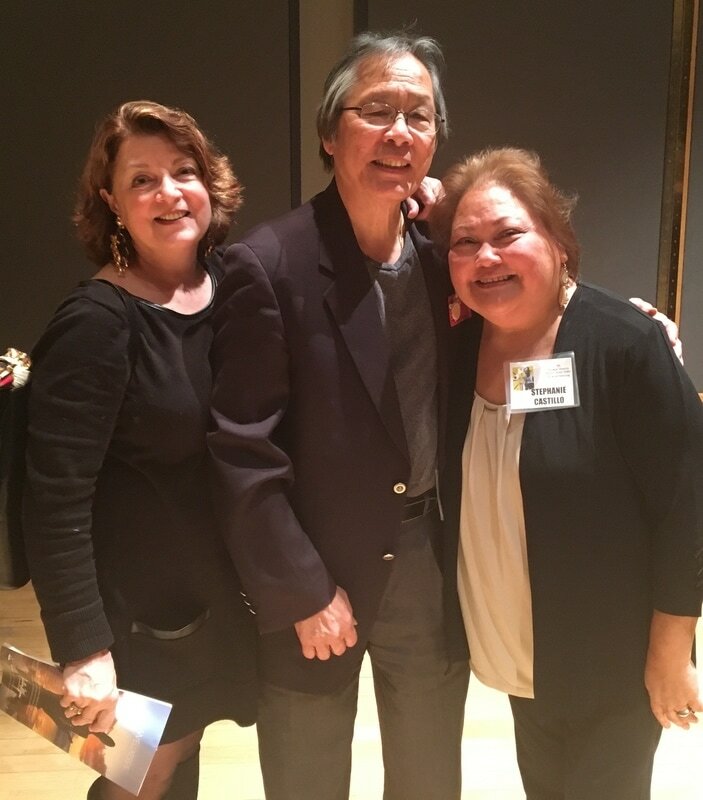 Co-Producers & Co-Writers Sonny Izon and Stephanie Castillo, with our narrator of the film Kathryn Izon. Through the documentary NIGHT BIRD SONG: THE THOMAS CHAPIN STORY, you will discover a never-been-told story straight out of the jazz history books about the short but remarkable life of Thomas Chapin, a creative musical force who emerged in the 1980's in New York jazz scene, whose highly original style helped move the music forward in the 1990's. Chapin was admired for his exuberance as a multi-instrumentalist, band leader and composer. Once a musical director for the legendary Lionel Hampton, he was one of the few artists of his generation to exist in both the worlds of the New York City's downtown, experimentalist scene and the uptown scene of mainstream jazz. 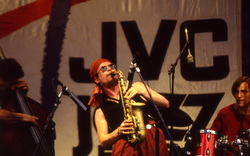 The saxophonist-flautist was just making his mark when his life was cut short when died from leukemia in 1998 at age 40. You will meet a passionate soul who lived like there was no tomorrow in tireless pursuit of doing what he loved. 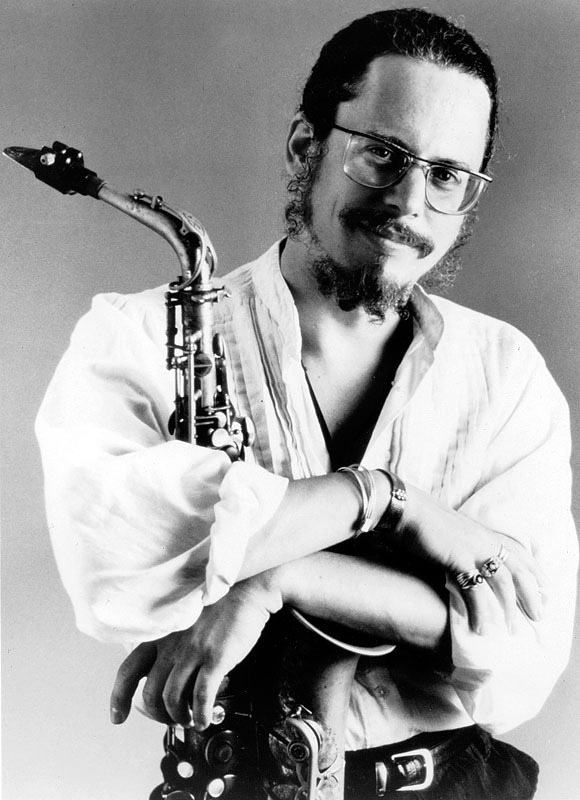 In the face of a childhood condition that left him aware every day that life was fragile, Thomas Chapin soared and gained altitude, living out his dream of making edgy, engaging, exhilarating music that pushed jazz forward. Though he passed 15 years ago, his music lives on. And through the film, an unforgettable tale of love and passion, courage and boldness will unfold. NIGHT BIRD SONG is a tragic yet triumphant story of one artist who took the road less traveled, who faced its end much too soon when dreams still burned. 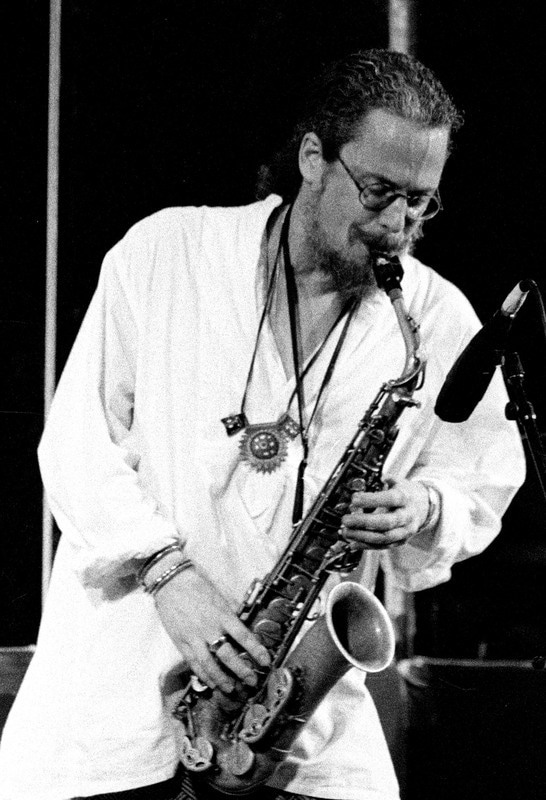 Before he passed, Thomas Chapin had come into his own: having realized his own signature sound, having released numerous important albums, having gained a reputation for many outstanding live performances, and he was on the cusp of wide-audience recognition when he died. Thomas Chapin continues to be highly regarded as an influential and inspirational force to those who knew him and to those who continue to discover him. At his death, Chapin was called a virtuoso, "full of incredible energy, experimenting and pushing the envelope all of the time, never letting up." EMMY Award-winning documentary filmmaker Stephanie J. Castillo's NIGHT BIRD SONG: THE THOMAS CHAPIN STORY is done and will now reveal to the world this important voice for jazz missed in the 21st century, a voice that will continues to exhilarate and inform the music for generations to come. This is Castillo's 10th documentary. 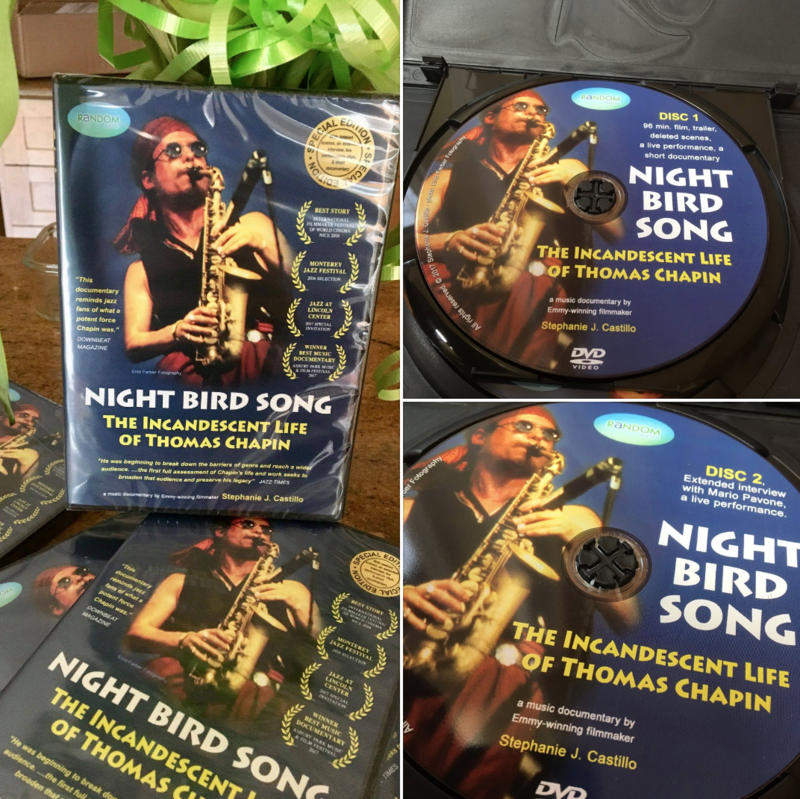 Read more about NIGHT BIRD SONG: The Thomas Chapin Story. . .